We’ve got a tiny amount of this in stock … so it’s buy now, or regret at leisure! 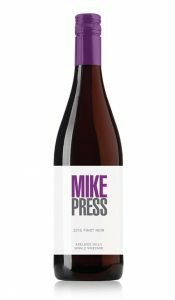 Eminently drinkable Adelaide Hills Pinot Noir for under $20 a bottle. It is perfect spring drinking – with ripe berry fruits and soft tannins. Delicious! Please note that stocks of this wine are extremely limited and if some (or all) of your order is on back order, we’ll let you know as soon as possible if there’s a problem.